OnePlus yesterday revealed their cheapest smartphone yet in the form of OnePlus X. The new device was simultaneously launched in several countries, while we love how OnePlus approached the buzz with #Hype being the keyword for OnePlus 2 while the OnePlus X launch felt like soft. We thought, the new addition to the OnePlus product lacked some important things and was not what we expected from the smartest phone brand of this decade. We have laid out five reasons why it’s not the device we expected and thus is not worth the buy. 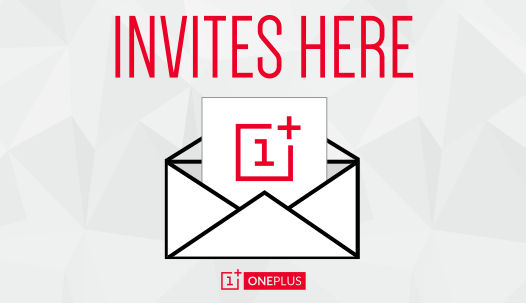 The Invite system has always been about the giving firm the freedom to manufacture their smartphone in badges. Looking at how much Hype it is about the OnePlus products since the brand launched their first device last year. But the sad part is that not all the people who want to buy their smartphone can get it. This purchase system might allow company to keep check of the demand and supply number, but it isn’t helping any more when a consumer wants to buy their product. While company claims that their latest OPX handset would be on an Invite system only for 1 month, it doesn’t change the fact that not many people are fond of their invite system. If a person is looking to buy the handset in urgent need or just want to straight upgrade to a new phone, then there should be a much easier way to purchase these smartphones, in particular, the new OnePlus X. The Fingerprint Scanner has always been considered as the premium category feature until Chinese smartphone manufacturers started offering them in under $200 phones. Such as Huawei Honor 5X, Umi Iron Pro, Oukitel U10 and Coolpad Note 3 are few handsets that offer such features. And we are not messing around; we have used last two devices in the list, and were pretty satisfied with the response of the fingerprint sensor on them. This year even OnePlus brought that feature on their flagship device, the OnePlus 2. When the rumors were going about the OnePlus X/ OnePlux Mini, it was expected that fingerprint scanner feature would be one of the many to shine on the new mini handset, but, unfortunately, they were wrong. For the price, it comes $249, the addition of this biometric sensor would have been interesting. But unfortunately, it doesn’t. The USB Type-C has changed the way people approach the charging on their device. With the reversible port, you don’t have to worry about breaking the port on your device anymore. Insert upside down or vice versa, it would straight go into the port. The technology is moving forward and OnePlus was one of the companies this year to offer that connectivity on their OnePlus 2 smartphone. It was expected that brand would be extending the courtesy to their latest OnePlus handset. But alas they didn’t bother with consumer’s expectation and thus there is no fingerprint scanner on the OnePlus X. Though, Carl Pei (Co-founder of OnePlus) has given a reasonable answer to why they haven’t introduced the fingerprint sensor, and we are somewhat satisfied. But again, companies like Coolpad are offering the fingerprint sensor on their handset for as low as $150. When Google announced that they would be integrating the Android Pay services on the next generation of the mobile operating system, the Android Marshmallow, we had expectations that many companies would be introducing this feature. OnePlus, which announced their first smartphone with NFC chip support, didn’t quite thought this through when brand didn’t include the NFC on this year’s flagship product, the OnePlus 2. It was contemplated that mobile startup would right the wrongs on their mini flagship when the first rumors of that device were popped up online. But unfortunately, that didn’t happen. The OnePlus X is priced at $249 in the United States while it would be available in India for Rs 16,999. It might be one of the few good options for folks in the US, but India has got tons of options within same price range. Such as Xiaomi Mi 4, which comes with same Snapdragon 801 chipset, 3GB RAM and bigger battery at 3000mAh is considered to be a better buy in the country at Rs 14,999 pricing. If you’re so hell bent nn buying a OnePlus product, then OnePlus One is a better option as it has got bigger display and larger battery with similar chipset, RAM, and among many other things. But I wouldn’t consider getting any of those as there are so many better options below Rs 20K price in the country. One of them to consider is the Moto X Play. We would be reviewing this smartphone soon, then you can have a detailed look at what does OnePlus X has to offer and what not. Stay tuned.